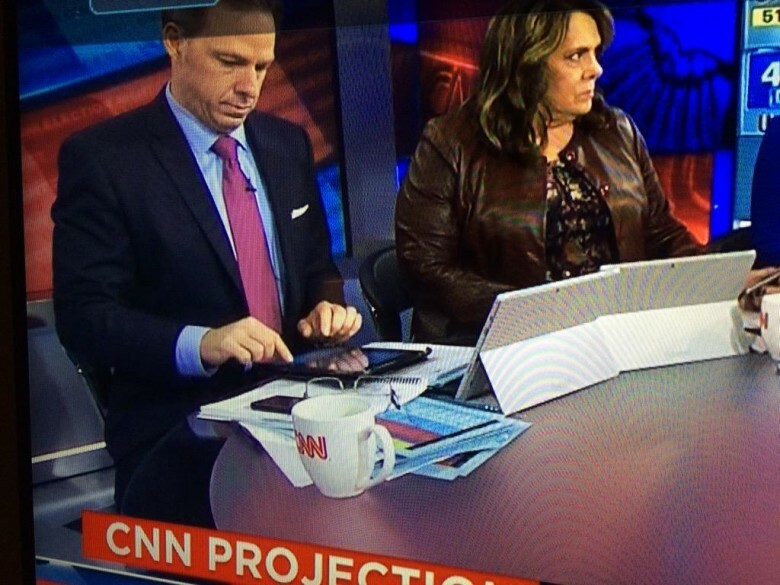 A CNN political commentator has hit back at reports that he was using an iPad on air, instead of the Microsoft Surface he was supposed to be using. The gaffe occurred during the coverage for the 2014 Mid-Term elections, when it was revealed that CNN Anchor and Chief Washington Correspondent Jake Tapper and others were furiously, err, tapping away at iPads behind the sold wall of Surface Pro 3s that Microsoft had issued the network. Tapper doesn’t deny that he was using an iPad, but argues that he was just using it for tweeting, while happily using his Microsoft tablet for everything else. @mattsheffield I used both. Used my iPad for tweeting. This isn’t the first time a rival company to Apple has experienced a screw-up when trying to promote its devices over Cupertino’s. Microsoft sponsors the NFL and provides team with Surface tablets on the sideline to review plays, although commentators have a hard time remembering to not call it an iPad. Samsung, too, has suffered embarrassing gaffes, such as when Ellen DeGeneres was paid to appear on-stage with a Galaxy Note at the Oscars, only to ditch it in favor of the iPhone as soon as she headed backstage. What do you think bout Jake Tapper’s explanation? Personally it brings to mind that line about protesting too much.